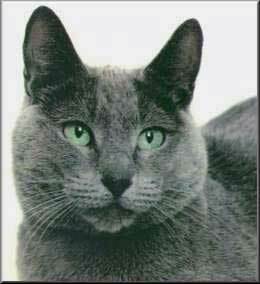 The Russian Blue cat breed is said to have originated from the Arctic Circle and may even have a Norwegian connection as well. One of the main distinctive features of this cat breed is its double thick overcoat. It is said that blue cats first travelled to the west via the port of Archangel in northern Russia and so were first known as Archangel cats. Over the years various breeding programs were put into place to ensure that the blue breed did not die out. In the late 1800;s there were enough blue cats to start to be shown at early cat shows. However these original blue cats had orange eyes. 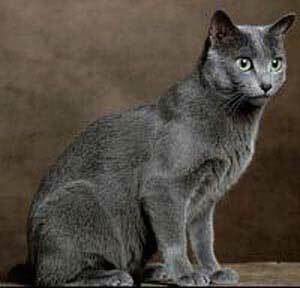 The perfect Russian Blue should have no white or tabby markings on its coat, but there can be a slate-blue sheen. The cat breed is of medium build but does have a certain grace to its stature. 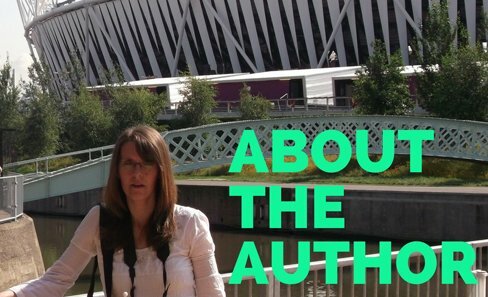 They are known for their quiet, gentle temperament and would certainly suit an elderly owner or quiet household rather than a family atmosphere. The features of the cat are more rounded than that of other foreign shorthair breeds, which gives it a very gentle expression, matching that of its temperament. It also has pronounced whisker pads and wide set pointed ears. 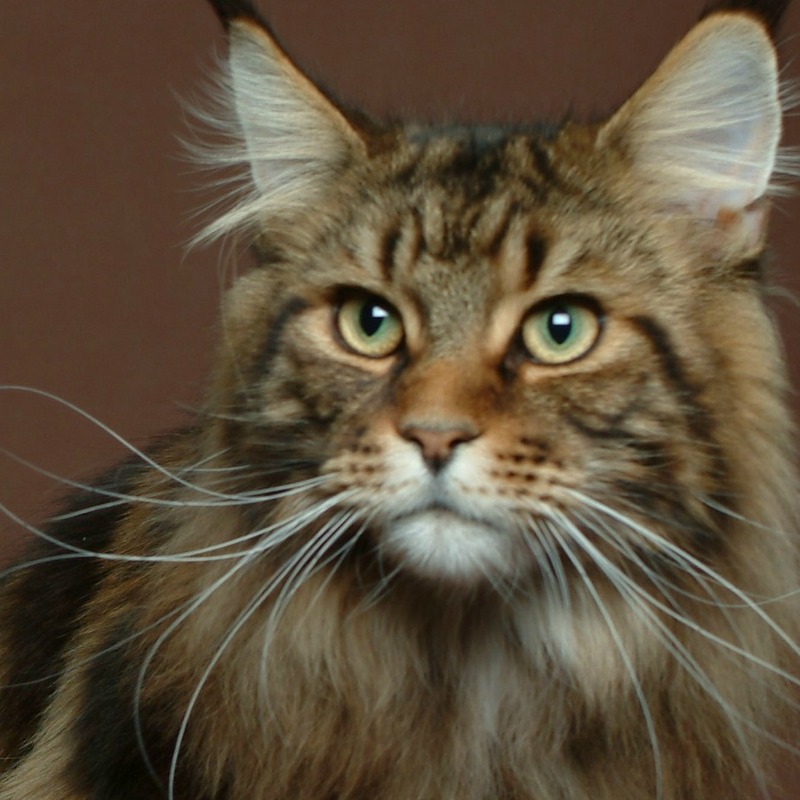 Coat: This cat breed has a short thick coat that has a double layer. The slate blue sheen seen sometimes on the coat comes from the fact that the blue hairs of the cat often have a transparent tip. Eyes: The cat has almond shaped eyes, which are green in colour. Grooming: This breed only requires gentle brushing as a too vigourous grooming can damage the double coat texture. 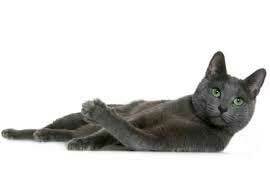 This cat breed is known for being very gentle and quiet in nature and is very affectionate towards people. A hectic household would not suit this cat's temperament at all. So if you have small kids then it may not be a good idea to have a cat like this.